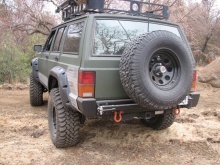 Custom designed to fit both our rear XJ bumpers, the carrier bolts directly to the bumper and features a new and easier to use latch design. 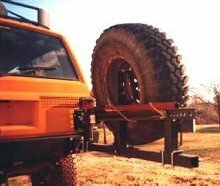 Our new hinge design uses tapered bearings and is rated for up to a 35" tire! Black powder coated.